The year is coming to an end and it's really time to start thinking about your future. It seems like a lot of pressure is being put on you but the more you know what you want to do, the better control you have of your life. Sure, some things are out of our control and we can't control everything but it is good to have some goals and actually stick to them. Before I try and bore you with new year positivity and resolutions, I want to steer you in a different direction. I feel like everyone's main goal in life is to be happy; could you agree? We all want to achieve greatness and be happy and content with our lives. What we forget or misinterpret about this is that being great or happy is not really a destination but something we live to be. We don't just do all the things we want to do and arrive at our final destination of happiness, we live by it, we breathe it, and continue to choose it. There's not way that we can just follow the imaginary greatness road and arrive at the destination of finally being happy with everything. Life is an ever evolving merry-go-round that continues to take us in all sorts of directions. And although it IS entirely up to us to create our future, we will never stop at greatness and just somehow be put on auto pilot for the rest of our lives. Once you finally get into a state of happiness it is up to you to continue it. 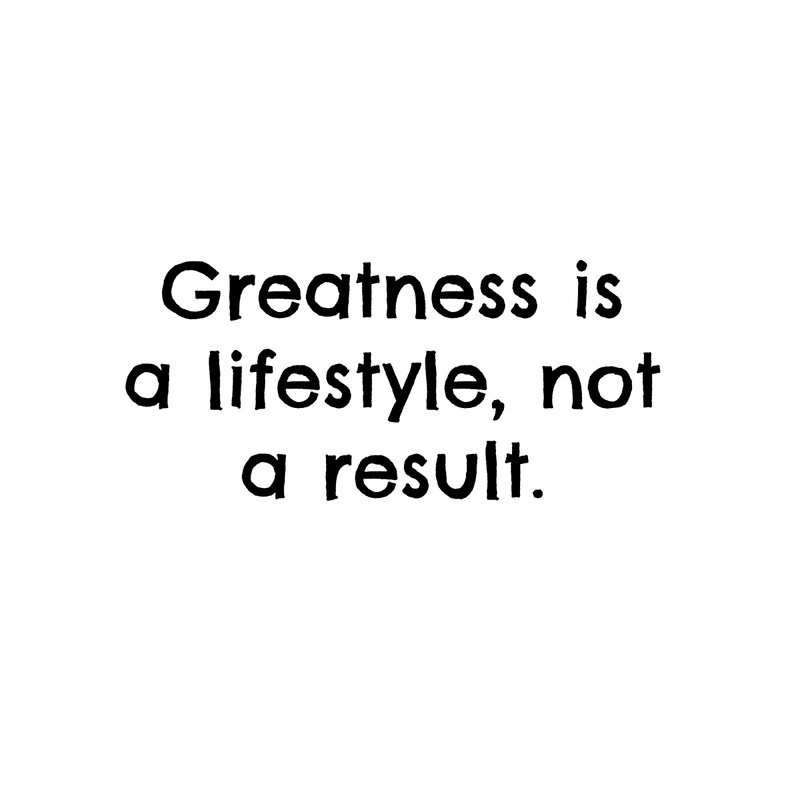 Greatness is not some type of achievement that we get. It comes from you continuously living your life happily in the midst of all the chaos that goes around you. Greatness is achieved from the courage that you gain fighting day in and out to make yourself happier. It's a choice you make to continue to not let the bad times bring you down. No matter the hardships, greatness is achieved with the choice you make to keep pushing and live life the way you want to live it. You don't win some kind of greatness prize, you ARE great. Remember that greatness isn't an end result but a state of being. 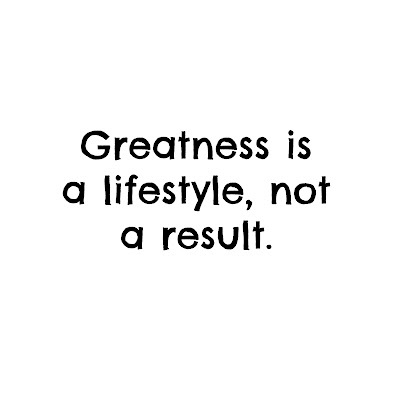 So make sure to BE GREAT.